© Copyright 2012 COO, Inc. All Rights Reserved. 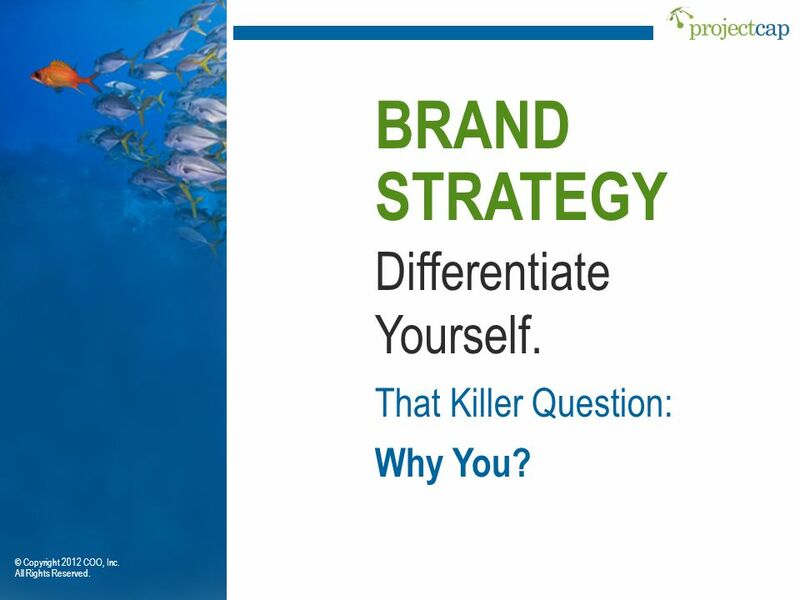 2 BRAND STRATEGY Differentiate Yourself. How? 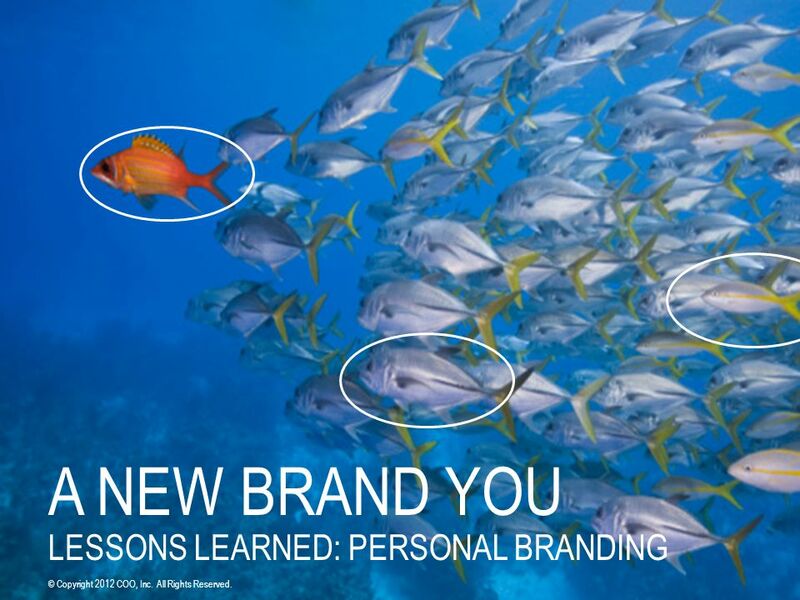 © Copyright 2012 COO, Inc.
3 BRAND STRATEGY P P Differentiate Yourself. Tools & Technology vs. Content & Communication P © Copyright 2012 COO, Inc. All Rights Reserved. 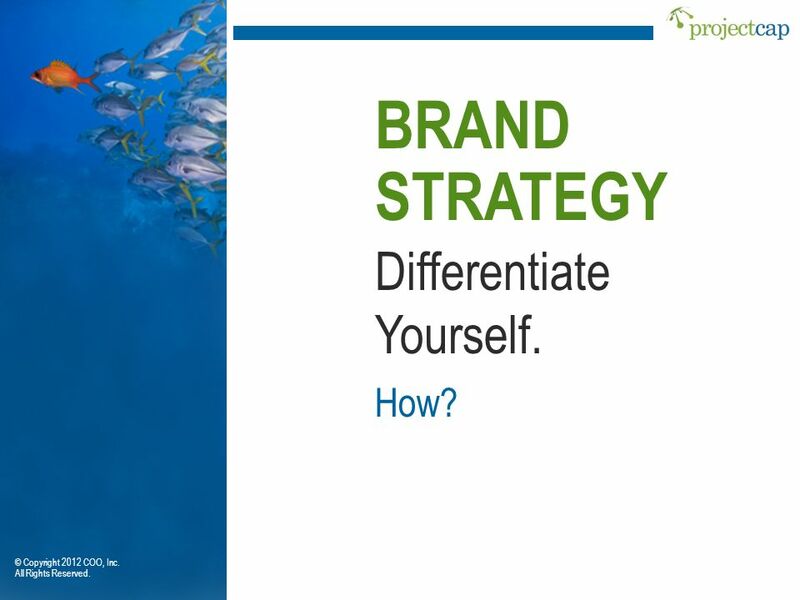 4 BRAND STRATEGY Differentiate Yourself. That Killer Question: Why You? 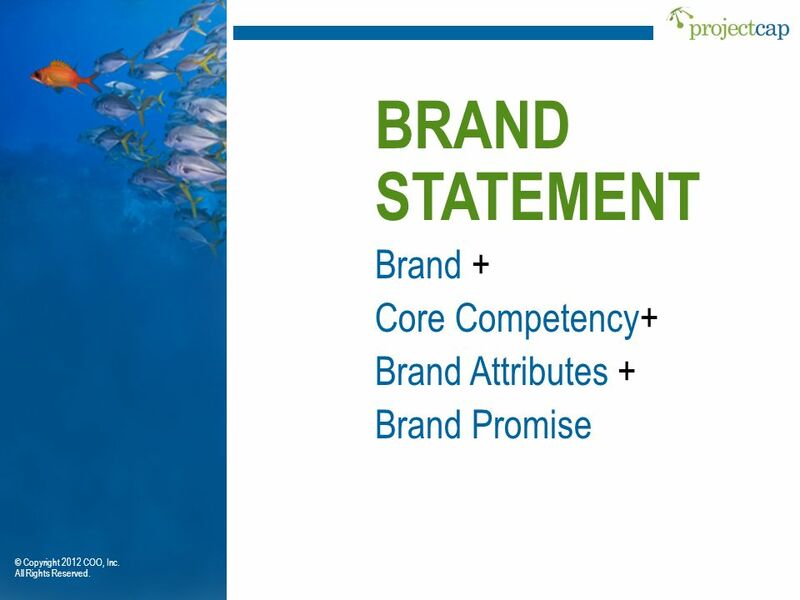 Brand Recognition Brand Identity Brand Vision Brand Equity Brand Statement © Copyright 2012 COO, Inc. All Rights Reserved. 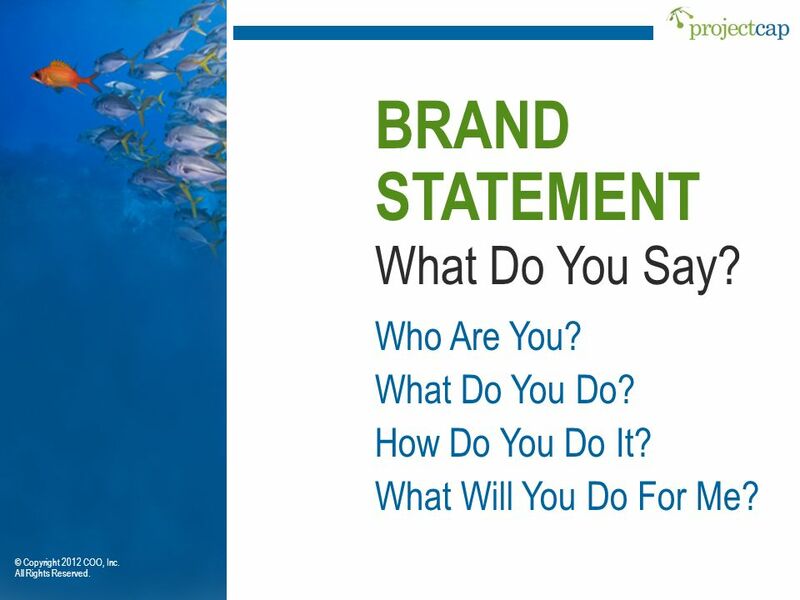 6 BRAND STATEMENT What Do You Say? Who Are You? What Do You Do? How Do You Do It? What Will You Do For Me? © Copyright 2012 COO, Inc. All Rights Reserved. 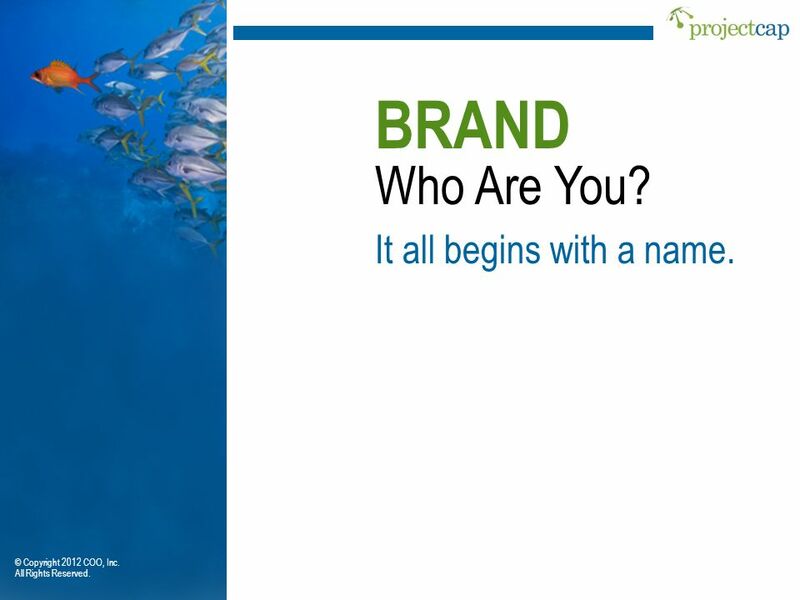 7 BRAND Who Are You? It all begins with a name. 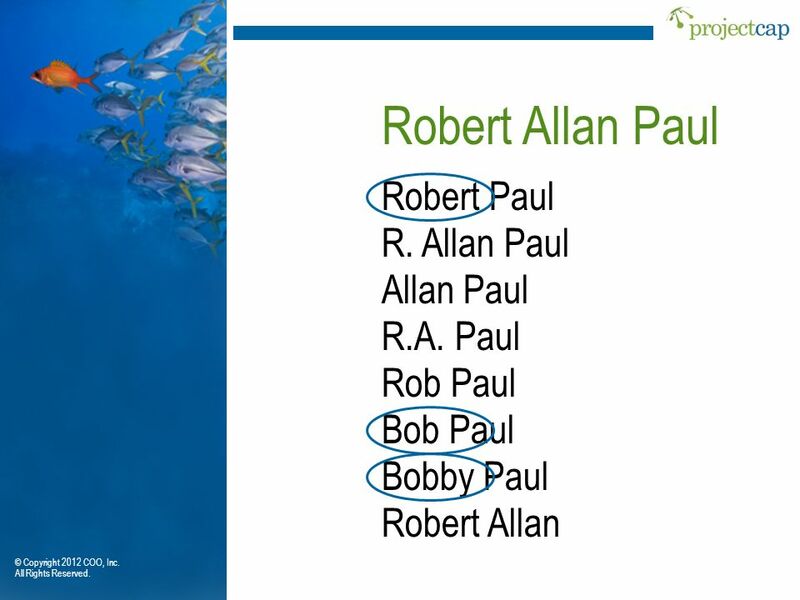 Rob Paul Bob Paul Bobby Paul Robert Allan © Copyright 2012 COO, Inc. All Rights Reserved. 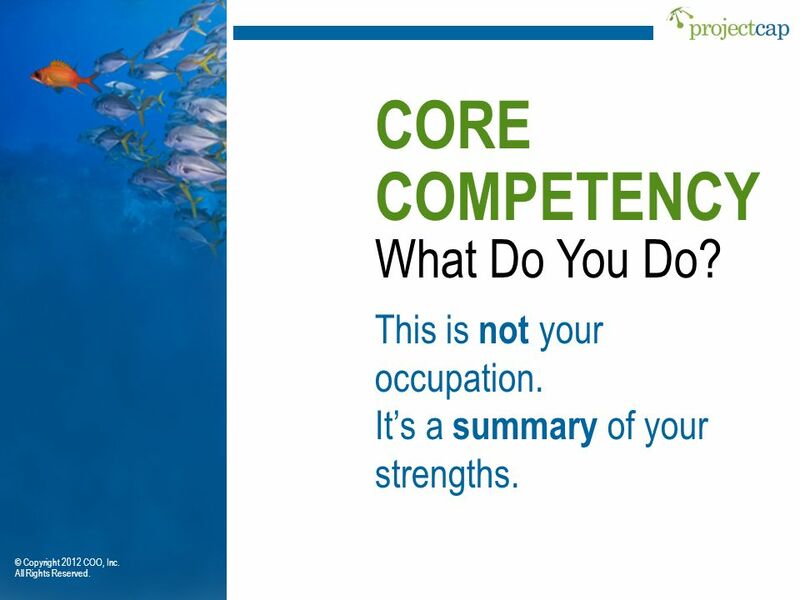 9 CORE COMPETENCY What Do You Do? 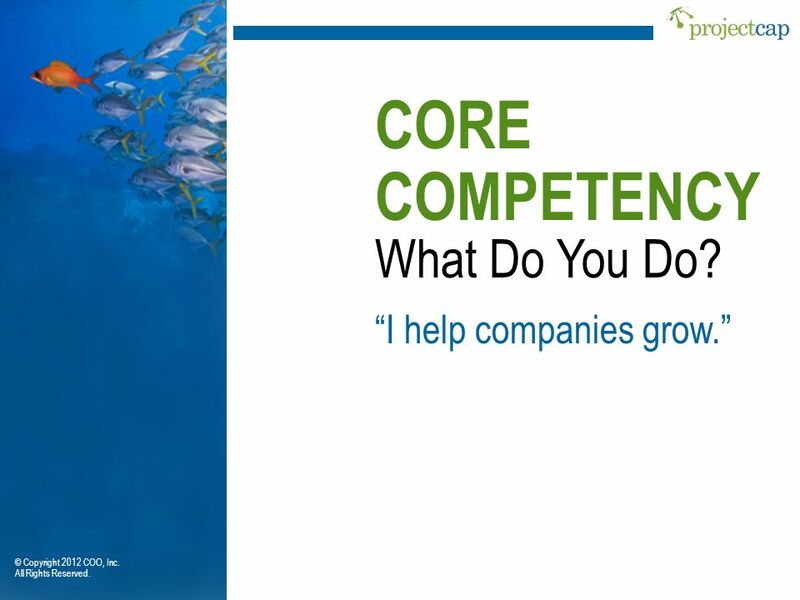 © Copyright 2012 COO, Inc.
10 CORE COMPETENCY What Do You Do? This is not your occupation. It’s a summary of your strengths. © Copyright 2012 COO, Inc. All Rights Reserved. 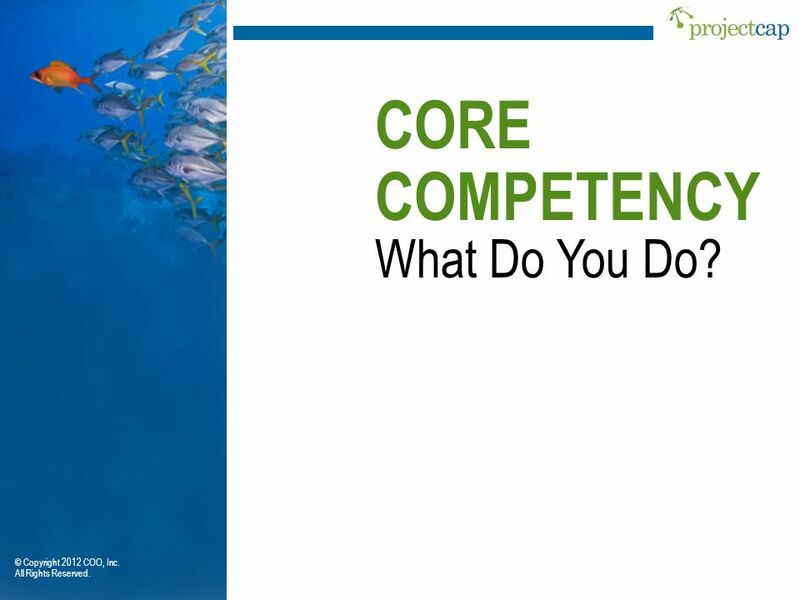 11 CORE COMPETENCY What Do You Do? 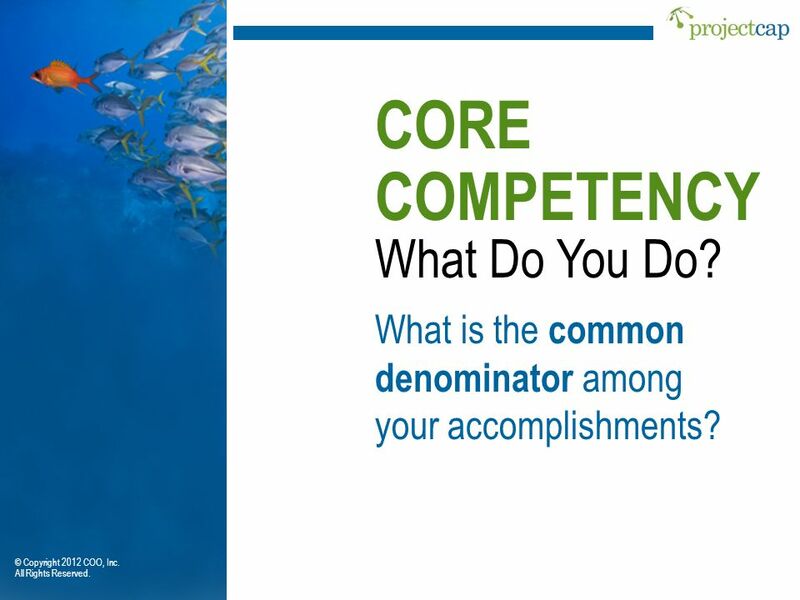 What is the common denominator among your accomplishments? © Copyright 2012 COO, Inc. All Rights Reserved. 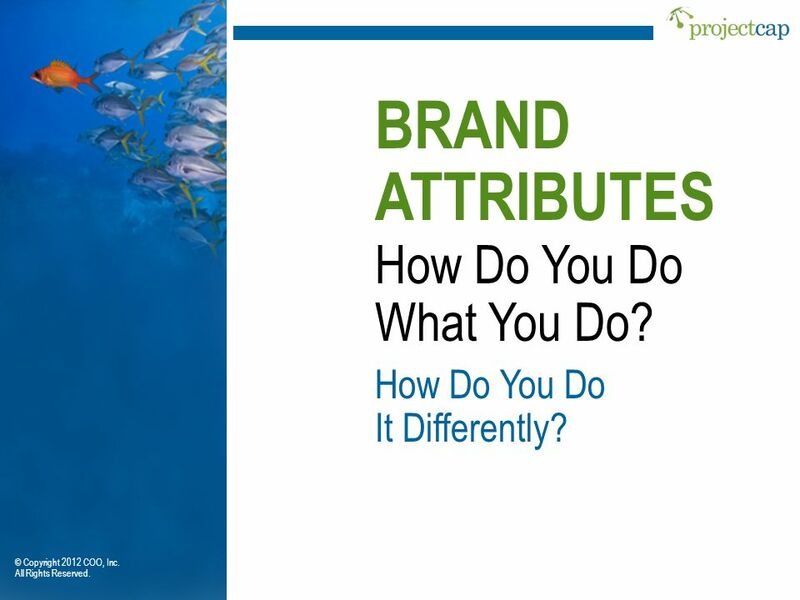 13 BRAND ATTRIBUTES How Do You Do What You Do? Every brand has distinct characteristics. © Copyright 2012 COO, Inc. All Rights Reserved. 14 © Copyright 2012 COO, Inc. All Rights Reserved. 15 © Copyright 2012 COO, Inc. All Rights Reserved. 16 © Copyright 2012 COO, Inc. All Rights Reserved. It Differently? © Copyright 2012 COO, Inc. All Rights Reserved. 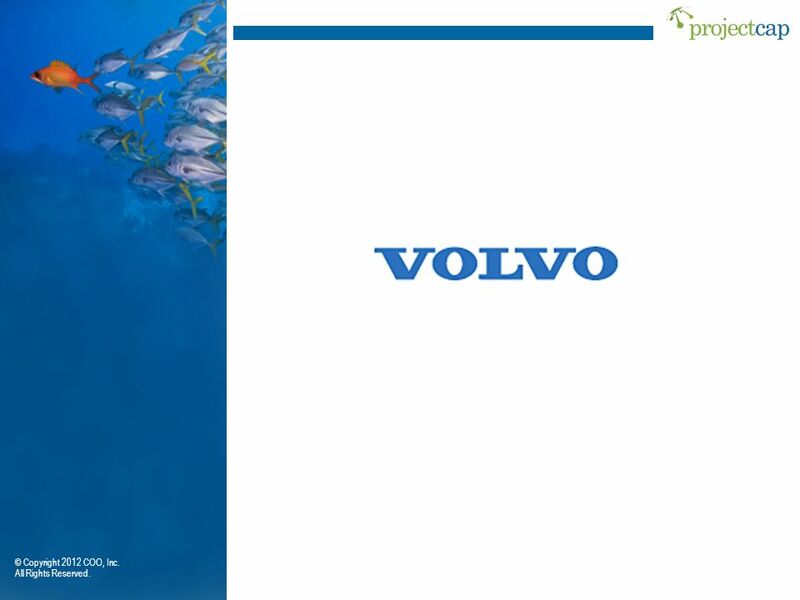 and aggressive.” © Copyright 2012 COO, Inc. All Rights Reserved. how you do what you do? © Copyright 2012 COO, Inc. All Rights Reserved. 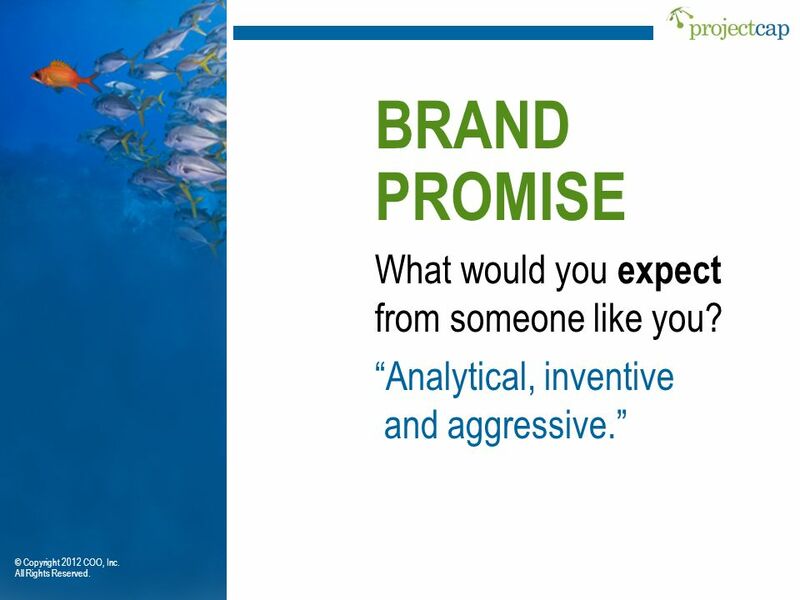 20 BRAND PROMISE What would you expect from someone like you? “Analytical, inventive and aggressive.” © Copyright 2012 COO, Inc. All Rights Reserved. are on target, on time and on purpose.” © Copyright 2012 COO, Inc. All Rights Reserved. Brand Promise © Copyright 2012 COO, Inc. All Rights Reserved. 23 and I help companies grow. I’m analytical, inventive and aggressive. 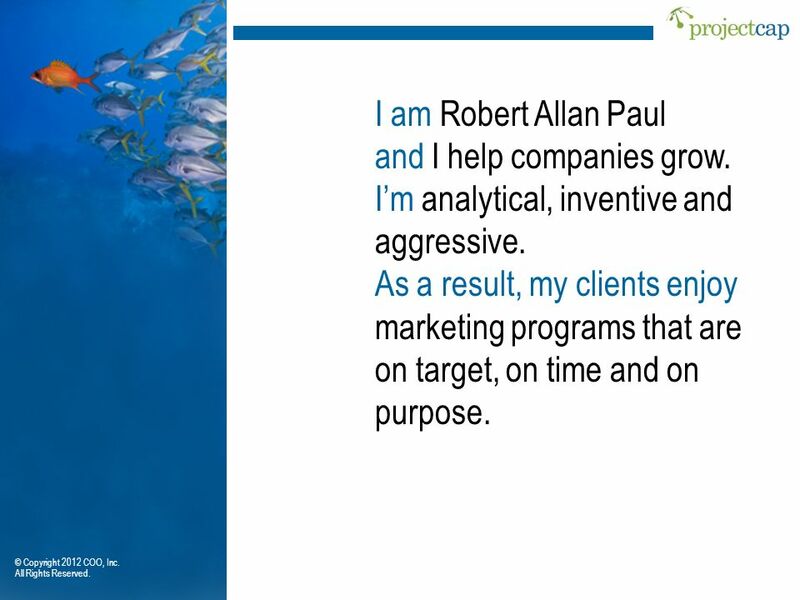 I am Robert Allan Paul and I help companies grow. I’m analytical, inventive and aggressive. 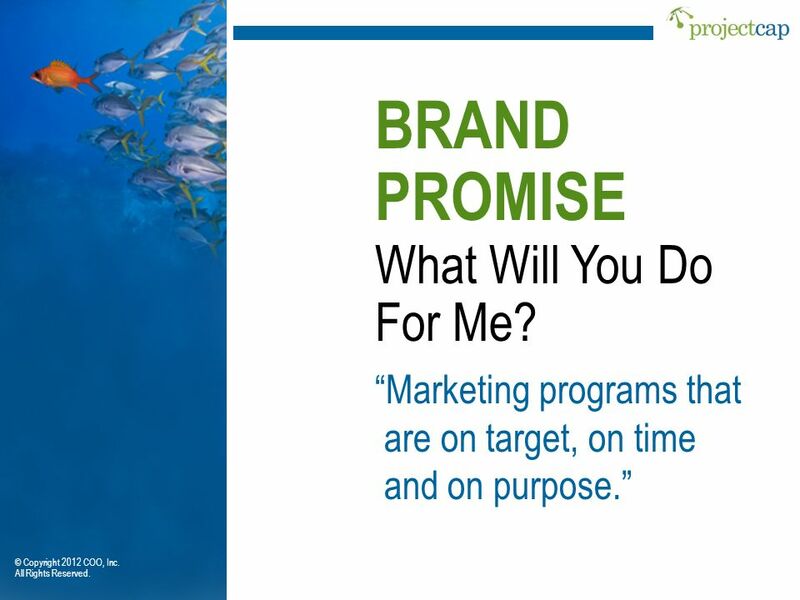 As a result, my clients enjoy marketing programs that are on target, on time and on purpose. 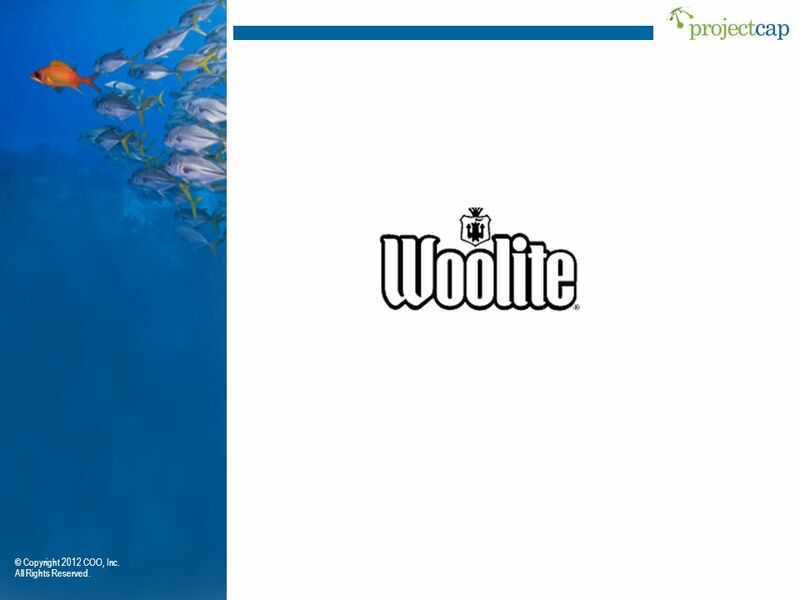 © Copyright 2012 COO, Inc. All Rights Reserved. Download ppt "A NEW BRAND YOU LESSONS LEARNED: PERSONAL BRANDING"
M 3.03 & Changing Products Keep up with changing consumer preferences Keep up with changing technology Keep up with competition. Close Hold – Company Confidential – Not for Distribution Engagement Every Day: 2011 Engagement Survey – List of Q12 & SAIC-specific 2011 Engagement Survey. © 2003 The McGraw-Hill Companies, Inc. All rights reserved. Working with Financial Statements Chapter Three. 4. Economic Effficiency Efficiency Equity Market system Social cost – External cost Public goods – Private cost. Creating A Career Marketing Plan New York University Leonard N. Stern School of Business November 6, 2003. 2-1 MARKETING MANAGEMENT Developing Marketing Strategies and Plans. 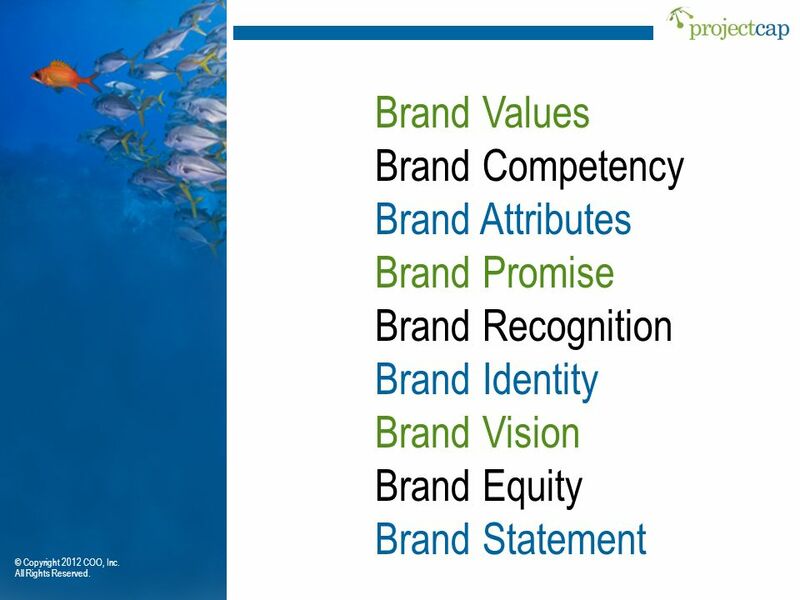 10 Crafting the Brand Positioning 1. Copyright © 2009 Pearson Education, Inc. Publishing as Prentice Hall 10-2 What is Positioning? Positioning is the. 7-1. McGraw-Hill/Irwin Copyright © 2008 by The McGraw-Hill Companies, Inc. All Rights Reserved. Developing Marketing Strategy Chapter 07. And the Winner is?. 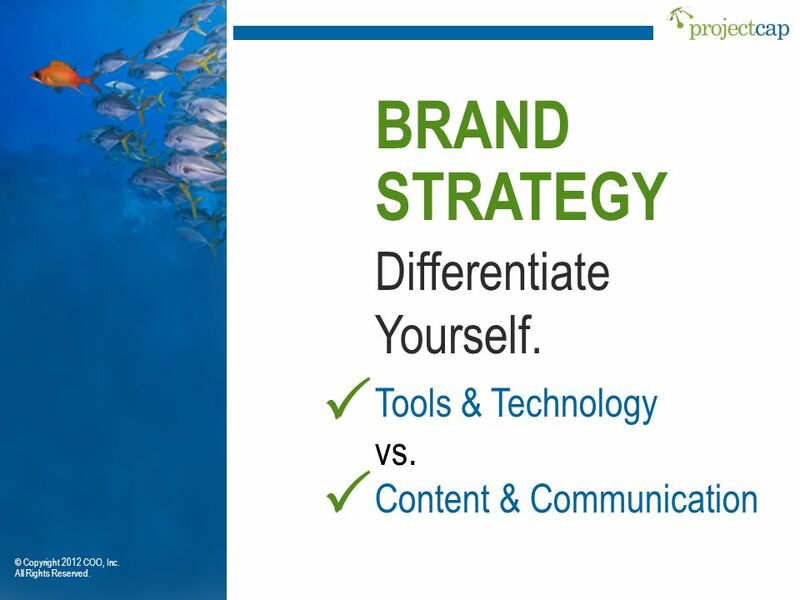 Strategy: A word of military origin, refers to a plan of action to achieve a particular goal Creating an Advertising Strategy. HOW TO WRITE MARKETING PLAN. 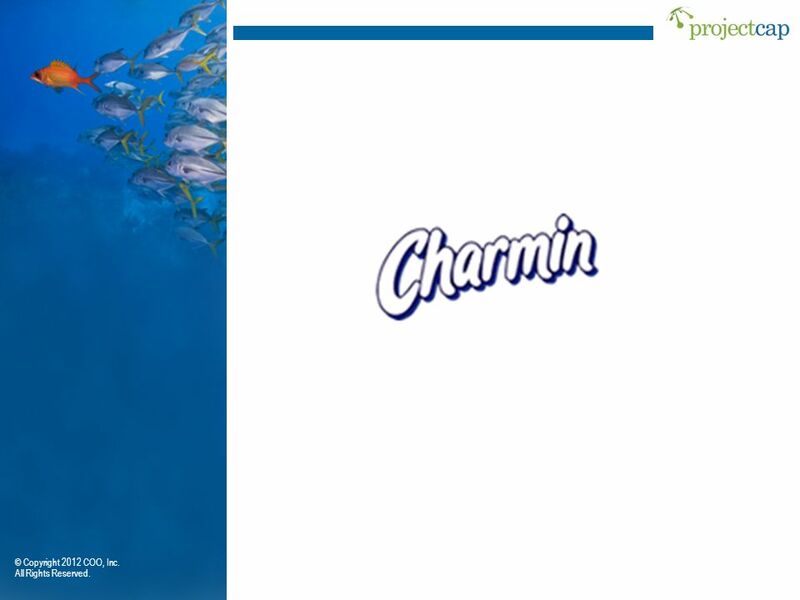 Companies that are successful in marketing, always start with a marketing plan. Marketing plan acts as a road map of success. Brands, Packaging and Other Product Features Chapter 10 McGraw-Hill/Irwin Copyright © 2004 by The McGraw-Hill Companies, Inc. All rights reserved. McGraw-Hill/Irwin Copyright © 2013 by The McGraw-Hill Companies, Inc. All rights reserved. Teams: Characteristics and Diversity Chapter 11. Product Planning and Development Chapter 8 McGraw-Hill/Irwin Copyright © 2004 by The McGraw-Hill Companies, Inc. All rights reserved. Ms. Maroney’s Presentation on How to Answer NAMLE’s “Key Questions” Pertaining to MiniClip.com.